Above is the track “Viten og Mot (Stolthet)” from the album “Heiðindómr ok Mótgangr”. “Heiðindómr ok Mótgangr”, is the natural sequel to the MCD “Åsgards Fall”, which was released on Dark Essence Records in November of last year. 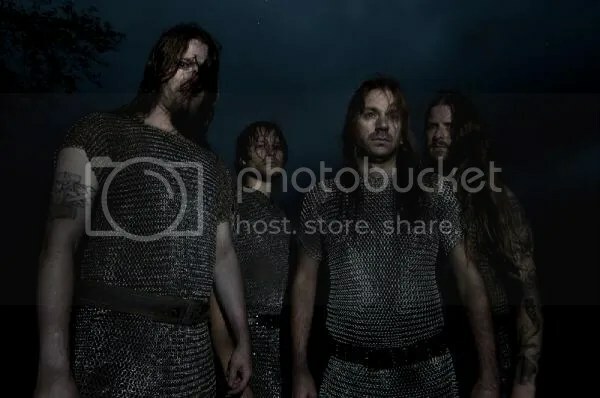 The first edition of the album will include a bonus DVD which contains HELHEIM’s live shows from the Full Force and Inferno Festivals, as well as the official videos for ”Dualitet og Ulver”, ”Stones To The Burden” and ”Jernskogen”. The nine track album features guest appearances from Hoest (TAAKE), who also appears in the ”Dualitet og Ulver” video, Gunnar Emmerhoff (EMMERHOFF & THE MELANCHONY BABIES) amongst others. “Heiðindómr ok Mótgangr”, was recorded at the Conclave and Earshot Studio in Bergen with producer Bjørnar Nilsen (VULTURE INDUSTRIES, BLACK HOLE GENERATOR) and was mastered by Herbrand Larsen (ENSLAVED).